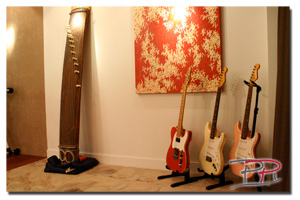 At Paradise Productions, we have composed and produced a variety of music over the years. Our specialty is cover version that sounds too good to be true. You bring us a soundtrack, that you love to have – but is too expensive to buy originally – and we will recreate something similar without violating copyrights. One of our specialities is to produce and co-write with singer song writers. Are you a singer song writer, but get lost in all the technical stuff, or maybe you just don’t have the network, to take it further? We provide full tracks, either programmed or with real musicians. That all depends on your budget. to the finished master, ready to release, or present to a label. And we use professional local and international musicians. Please contact us for a demo, or a quote. Of course we also do original compositions, tailor-made to your specific brief as well as helps established and new bands produce new hit recordings. Latest piece from april 2017. Music by Nicolai Kehlet, Video by Kirby production.